Are you in need of a personal trainer in Cheltenham or help with weight loss in Cheltenham and beyond? Then I can help. 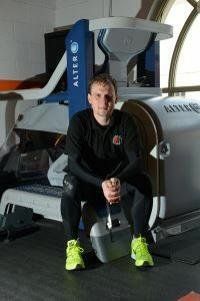 My name is Dan Fivey and I am a very established personal trainer in my local area. No matter what your requirements are, or what your level of fitness is, I can do everything and anything to help you get to the level of fitness you want! Do you need motivation? Are you looking for a new challenge? Do you want to lose body fat and maintain muscle? I will help create a new you! My programmes are designed to your specific needs and levels. Together we can make changes that will last you a lifetime. The mind is our biggest obstacle and our will is our biggest asset. You can create and achieve anything you really want! I look forward to meeting you and helping your achieve your goals! Read my testimonials below and contact me today for more information regarding my friendly services. 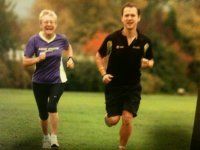 Whether you need weight loss in Cheltenham or some help with stroke rehabilitation in Cheltenham and the surrounding area, look no further than my services for a solution to any and all of your problems. Wherever you are located in the Cheltenham area you can benefit from my wide range of knowledge and expertise, and I always go the extra mile to ensure my clients are 100% satisfied. During my time, I have travelled all over the world to experience the many different methods available to me as a personal trainer - and it is due to this, and my exceptional level of success I achieve, that I enjoy such a fantastic reputation in the local area. The high quality of my work, coupled with the competitive rates I offer ensure that whenever people need a personal trainer in Cheltenham or strength balance in Cheltenham and beyond - I am the first choice! For more information, please call me on 07709169997 or email me at danfivey@yahoo.co.uk, or by using the online query form. I look forward to hearing from you! TRAINING OUTLOOK: You burn 50% more calories when you use a Personal Trainer - call me today for a friendly chat about your goals. PRICES: You can buy monthly or weekly programs or try Boxing or the Powerplate with me: Call me today for a friendly chat about your goals! What difference has training with Dan made? 2. Your mirror's not showing you any love. I your exercise efforts aren't translating into visible results, then it's worth while chatting to a TRAINER to get professional advice on how you can train smarter to build the body you deserve.